One of my favourite Cambridge examination components is key word transformation . It truly is a test of a student’s knowledge of English at both First Certificate and Advanced levels. ← How Easy Is This? The transformations are certainly a test of how well someone has mastered conversational English idiomatic expressions, but probably none of them are the most direct way of expressing what each sentence had to communicate. Oh certainly not the most direct Margaret. But a good test of your English if it's your second language. 1. This is the third time this week I have warned you not to be late for work. 2.It looks as though Anita has been dieting because she's quite slim now. 3. I would never use pasta when I was a child, but now I cook it regularly. 4.Having seen for myself, I couldn't understand why my friend would want us to live in such a depressing place! 5.We would have liked to have continued on with our mountain trek, but the weather was too bad. 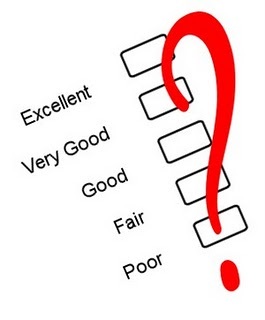 6.I would like to express my dissatisfaction with the standard of service in your hotel. 7. I would have sooner stayed in last night, but my flatmate insisted we go out. 8. Would you rather I had not informed the staff about your resignation? 9. It was only after being in the safety of camp that I stopped worrying about the wild animals. 10. The time he spent as a pilot was the only thing that Steve ever conversed about. 11. It wasn't until our arrival at the airport that we realized our passports were still at home. 12.When Micheal's boat began to sink, what he did was send a signal for help.